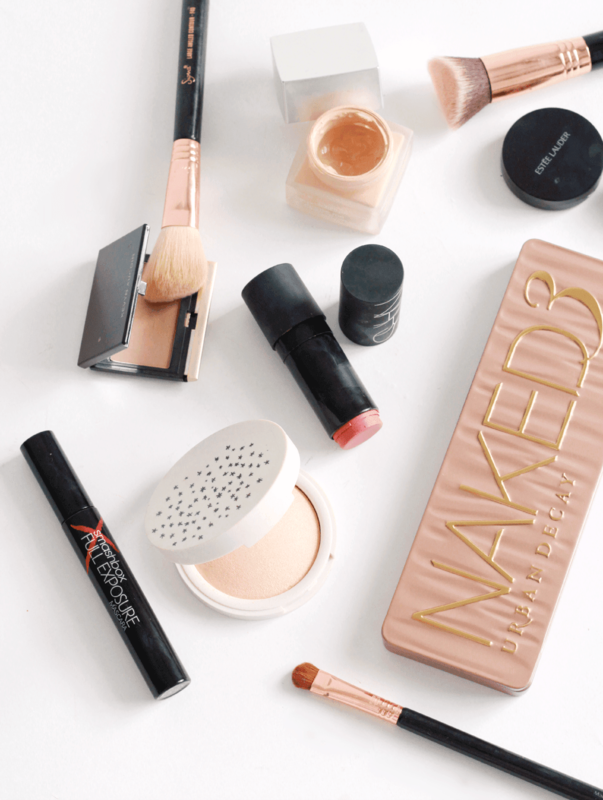 I hadn’t done a today’s makeup or what’s in my makeup bag style post for a while now, so thought it was about time I had a rake through the bottomless pit that is my makeup bag and showcase what I’ve been slapping on my face recently. Starting with the base, I’m having a revived love affair with the wonderful RMK Creamy Foundation. It’s honestly one of my favourite ever foundations and one I’ll definitely repurchase. It’s medium coverage, comfortable on the skin, blends like a dream and stays put for hours (even on my combo complexion). It’s amazing! I followed this with another favourite, the Estee Lauder Double Wear Concealer. I thought I’d get this out again as it’s nearly finished (booo) and wanted to use it up. It’s a creamy concealer that doesn’t take too much work to blend in, nor does it look cakey. I use this under my eyes and on my blemishes and it works great on both! On my cheeks I’ve been addicted to the amazing Kevyn Aucoin Sculpting Powder for giving me actual cheekbones. Well, I sorta already have them, but this baby brings them out so well! If I could high five Mr AC I certainly would! For blush, I love NARS The Multiple in Maui, which is something I picked up ages ago but never fully got round to using it properly. It’s a pretty dusky raspberry pink kinda shade, if that makes any sense and so easy to apply! Just dot and blend. After this I’ve been dusting some Topshop Highlighter in Crescent Moon onto the tops of my cheekbones. 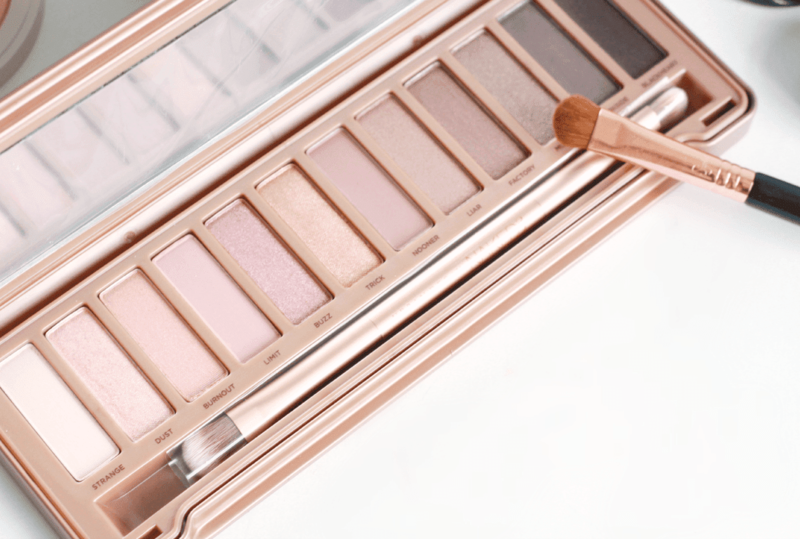 As for eyes, the Urban Decay Naked 3 Palette has entered my collection recently. It’s a pretty mix of pink and rose gold tones, which add warmth and look so pretty! You can get this cheaper with House of Fraser’s Beauty Confidential event, as they’ll give you £10 off one of your beauty favourites if you buy one of theirs. Bargains! To finish off my eyes, I’ve been applying a few lashings of Smashbox Full Exposure Mascara to lengthen my lashes and add volume! What makeup are you wearing or loving recently? Check out my beauty blog sale – it’s full up to date!